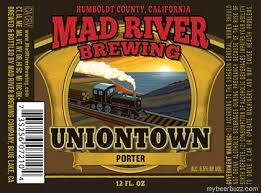 Mad River Brewing is a piece of Humboldt, our piece of Humboldt to share. Tucked away behind the majestic California Redwoods, Mad River Brewery (MRB) gives you the Northern California experience every time you raise your glass. Often noted as the best beer in Humboldt, our MRB family takes nothing for granted and with a modest attitude we brew every batch with your enjoyment and your taste buds in mind. Because we didn't get into this to start a business, we did it because of our love and passion for great beer. We did it so that we have something to share with our friends, and as a catalyst to make new friends. It worked. A bright golden hued ale of medium body with a spicy floral hop character and very mild bitterness. 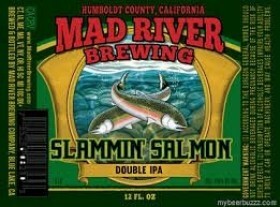 Mad River’s flagship brand! 2008 and 2012 Gold Medal and 2010 & 2013 Silver Medal winner at the Great American Beer Festival in the Golden and Blonde Ale category. This traditionally styled Porter has complex malt characteristics balanced with a mild hop profile. Scottish smoked and peated malts led added complexity and a mild smokey flavor. true red in colour with a frothy pink head, flor de jamaica is a deeply refreshing hibiscus infused ale, perfectly thirst-quenching. slightly sweet notes of earthy strawberry flavours are balanced with a subtle hop character, carrying a climactically quaffable experience to your palette. Malty, hoppy and robust, Double IPA is dry hopped with Amarillo hops for a fresh piney and citrus flavor and aroma. Aggressively hopped, but perfectly balanced. Mad River’s legendary red ale. This mahogany hued ale brings an intense spectrum of spicy aromatic hop character balanced by a full-bodied caramel richness. 2011 Silver Medal winner at the Great American Beer Festival in the American Style Amber/Red Ale category. A black, opaque and sweet stout with a rich creamy roasted chocolate malt character and a very mild hop complement. A smooth and pleasing dessert beer. Is a rich light copper India Pale Ale that features a fresh whole hop floral character and a clean crisp finish.